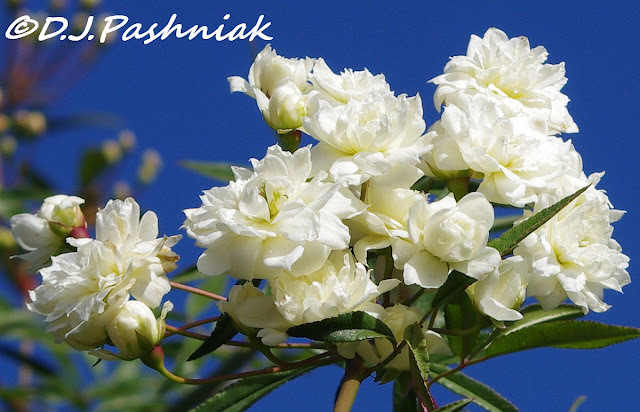 Banksia roses. 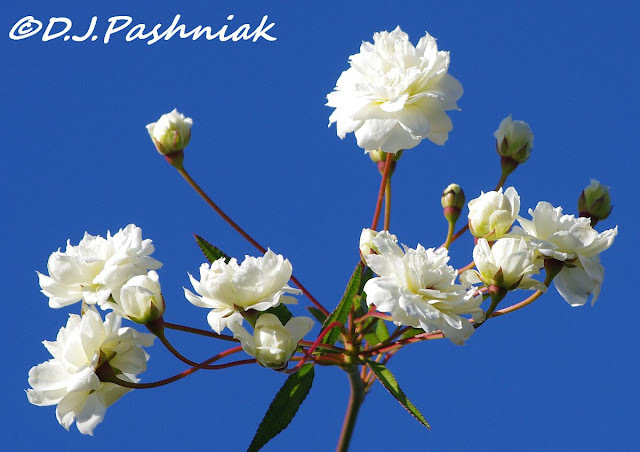 They have no thorns, look like tiny roses and smell like roses as well. I have planted a screen of them just outside the kitchen window. I also enjoy an expansive yard around me. It would, however, be better if I enjoyed working in the garden and mowing the lawns. Over the last few weeks I have neglected the yard, and the grass is long and the dandelions are standing tall and yellow and beautiful. 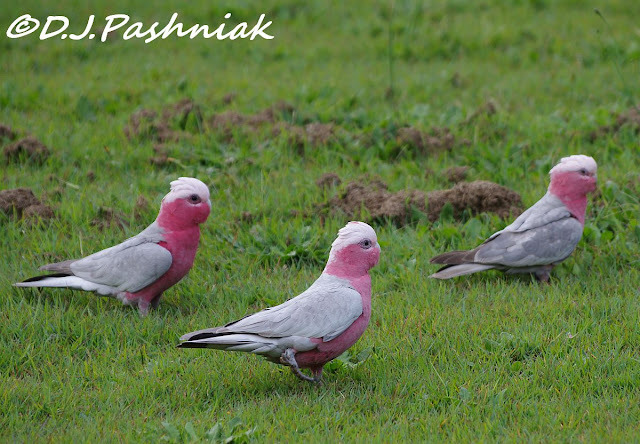 The only time I see Galahs is when the lawn is in this condition. These birds are such fun to watch. 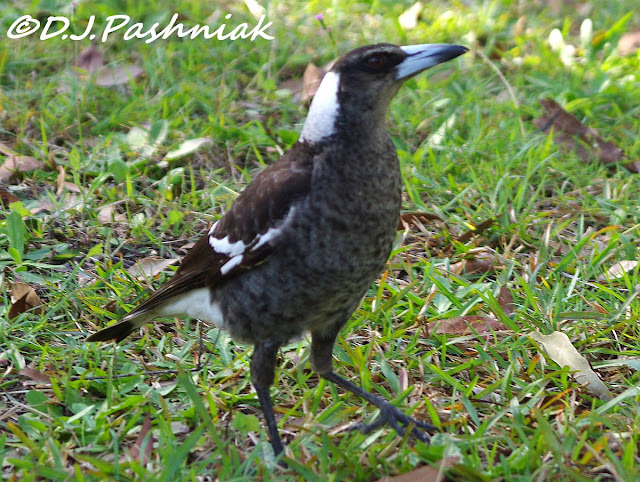 I seldom see Magpies in my yard but my friends always have them. I took my camera when I went for afternoon tea the other day. This birds is a young one - still showing more grey than black in its plumage. This is an adult. It was sitting on the branch and singing/warbling. These are Tawny Frogmouths. Although they can be hard to find my friends often have them in their yard. It is a large yard with lots of mature trees - and no cats, dogs, or kids! Two birds were sitting one above the other in the same tree. 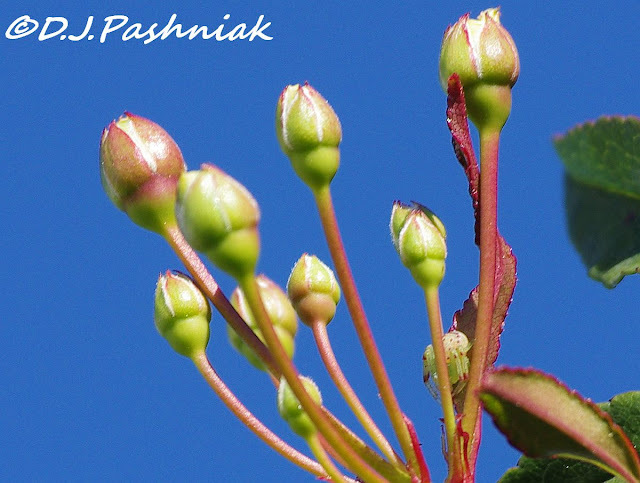 The lower birds was hidden behind the leaves. The other one was easier to see. This is a full crop to show the head . Glorious captures, Mick, and a glorious post for the day!! Thank you, as always, for sharing the beauty of your world with us!! 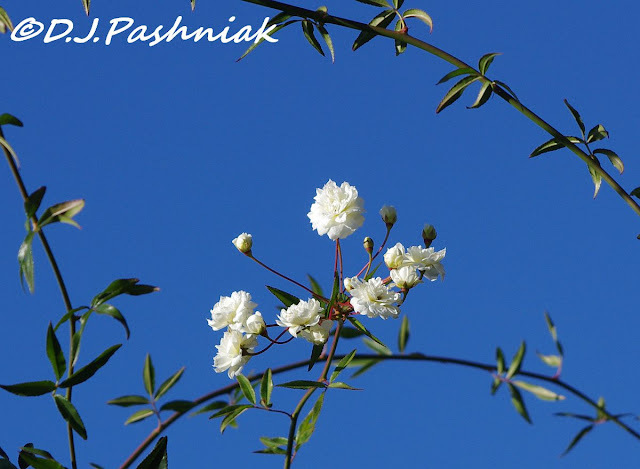 Have a great new week!! Galahs look they might be characters. For sure they have an interesting look! Hello Mick, your roses are lovely. I would like this rose without the thorns. The Galahs are beautiful and the Frogmouth is an awesome birds. Your friends are very lucky! Great post, enjoy your week ahead! Roses without thorns. That sounds perfect. 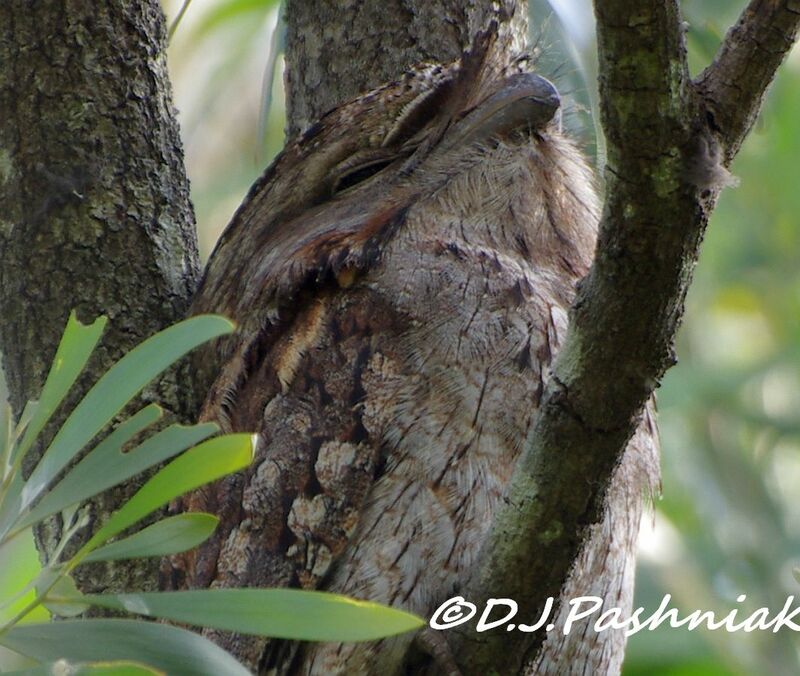 The camouflaged birds are incredible. Even when knowing they were there, they are hard to see. Glad it was easier to see the galahs because they are sooooo cute! Those Galahs are just spectacular. I wonder why they prefer your garden when it's a little neglected? The Frogmouth is just so different to anything I've ever seen but like something in between a nighjar and an owl. The Galahs and the roses are so pretty! Wonderful photos! I love both the flowers and the birds. Great series of photos love the colour on the Galahs. 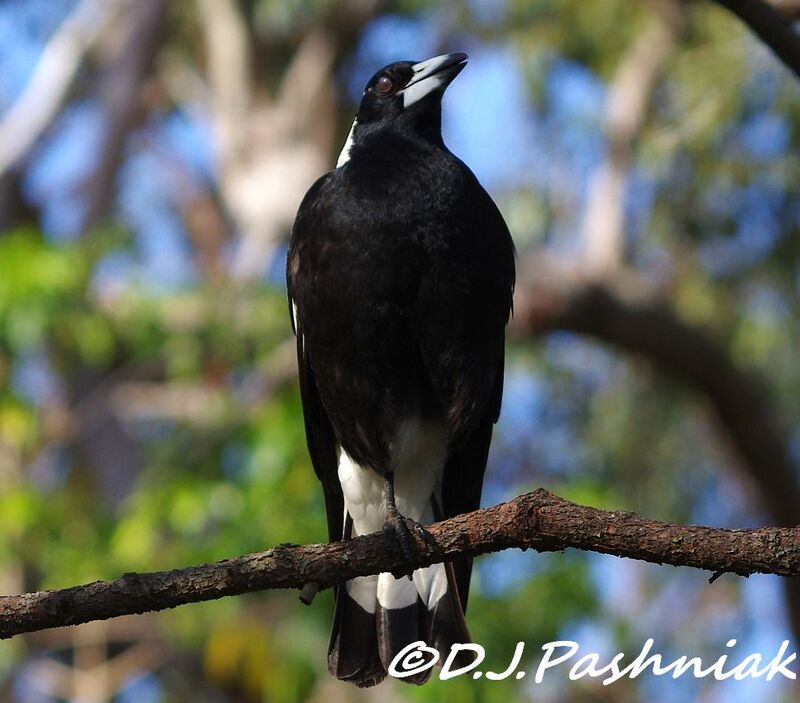 Great shots of the Galahs, Magpie and Frogmouth. All your photos are beautiful! The Roses are glorious adn I love seeing the Australlian birds. I knew all these ones. 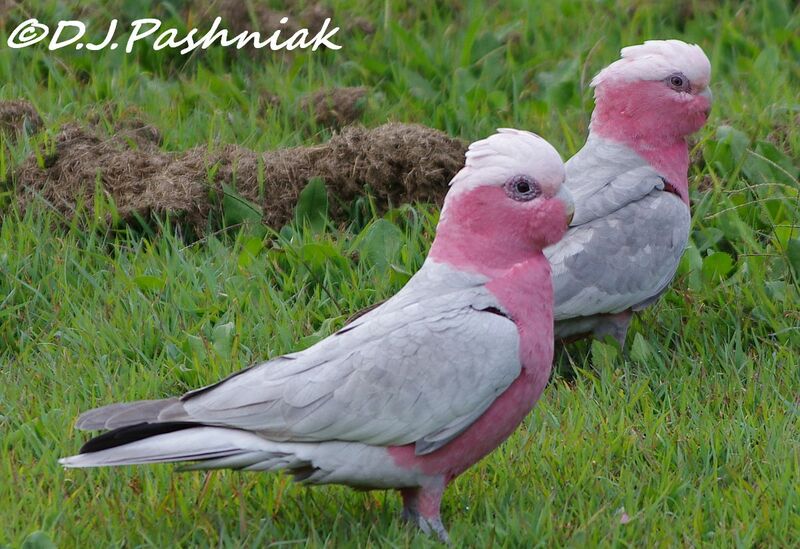 Love the Galahs. Your little Banksia roses set against that gorgous blue sky look wonderful! 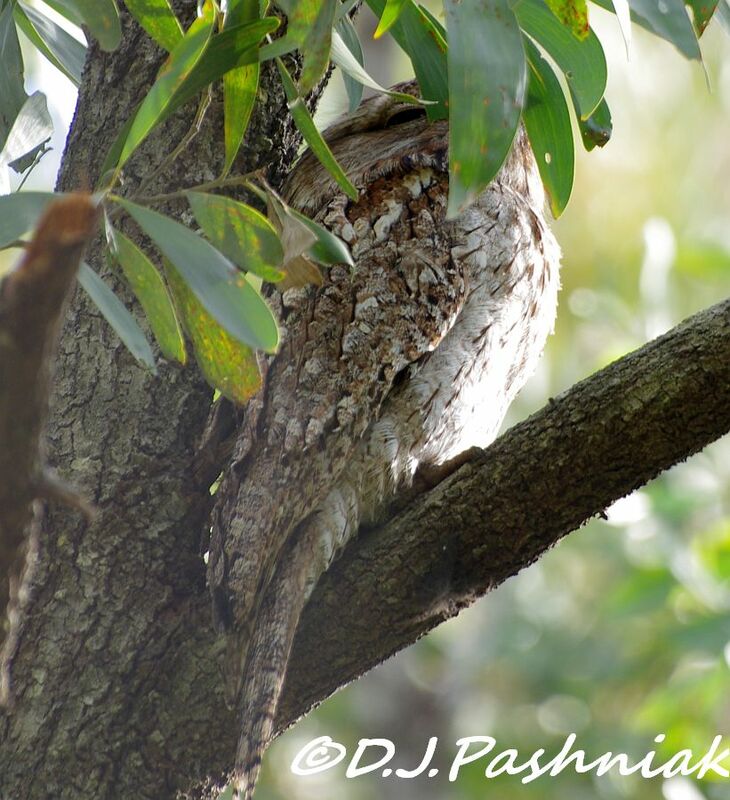 The Tawny Frogmouths are very similar to our Nightjar. Great pictures. Wow! Vibrant colors. And those Galahs. So peculiar and cute. Love all of these very different birds! Great photos! And the roses are just lovely! Wow!!! The birds are awesome. Love the Galahs [I hope I spelled that right]. 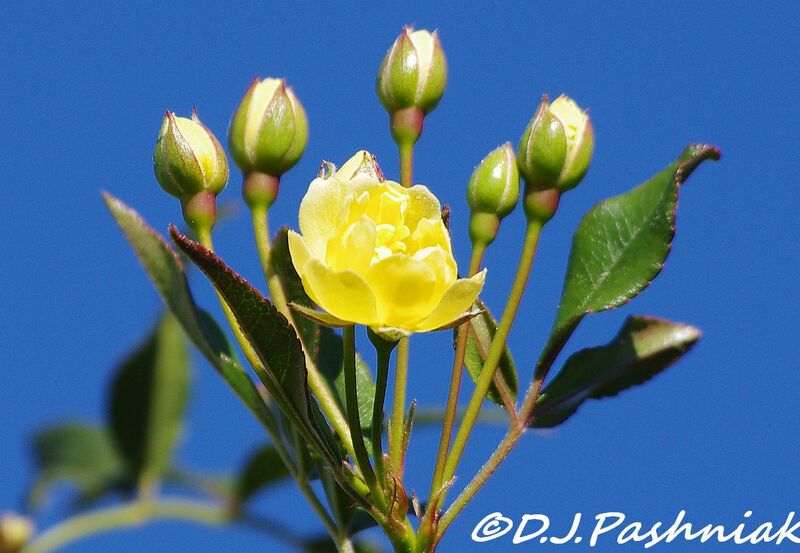 And your roses...the blossoms looks a lot like what we have in our yard...only ours have yellow blossoms. I totally empathize about the yard work! Why would you want to ruin such a great attraction for those Galahs? 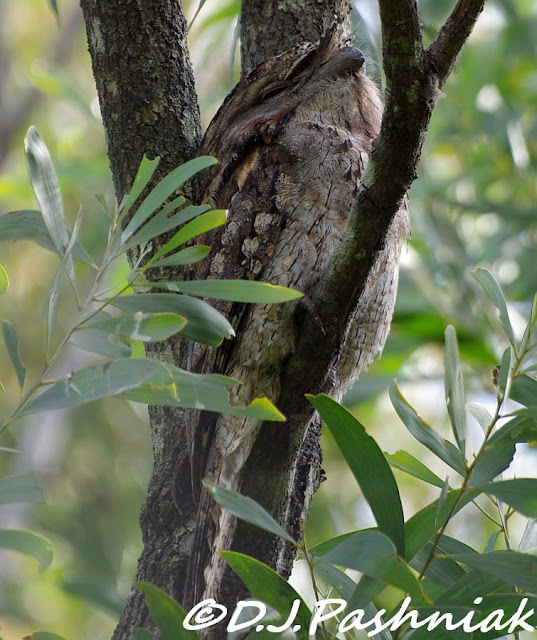 Like Phil, I think the Frogmouth looks like the result of a liaison between an owl and nightjar. Neat birds! Your Banksia is simply beautiful! Great birds... I think you should neglect the lean on purpose because ... Gullahs! Love the little roses ...especially since you say they actually smell like roses are supposed to! The Galahs are fascinating. Great photos. Nice set of birds - I like watching the Galahs digging in the grass as well, although we don't get them in our garden! Lovely roses, Mick. I do miss mine from my old house. I'm hoping to plant some at this place. Great bird images too!